This entry was posted in Community on May 30, 2013 by SupSuper. First off, we have a Google+ now. I didn’t tell anyone about it, yet somehow it already has +36, don’t know how that happened, but… er… good job, fans that… can apparently read my mind. *puts tinfoil hat* Though I probably won’t use it as much since it doesn’t integrate with WordPress well, and I’m not sure where I can link it on the website without ruining the lovely Feng Shui. Second, I’ve been contacted to help spread the word about this cool little project called Isomer. I know I know, lately all I’m doing is asking for you to support stuff. “Ugh not this again, why is Sup asking for my attention? Why do I have to do stuff? Why should I care about this and that? And more importantly, where is my mod that merges every X-COM game together???”. But you know what, we’re all friends here. Yes, even you. If a fan comes up to me and asks for my help, I’ll gladly invite them inside, offer them a cup of coffee, then we can sit down and have a nice talk about the birds and the bees. It’s all cool. 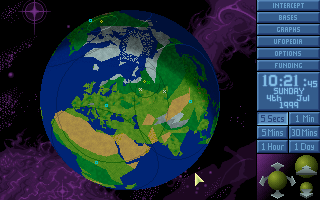 Anyways, Isomer is a real-time strategy game where you take control of alien forces invading a randomly-generated world and have to mine for resources, build up your base, upgrade your troops and wage war against the inhabits. Or be all best buddies I guess, it’s a sandbox, but that doesn’t sound like much fun. There’s nothing available to download yet, but it looks very much in the style of X-COM’s tile-based destructible Battlescape gameplay, some kind of X-COM meets Minecraft I guess. Keep an eye on it, looks interesting. It’s finally here, version 0.9! This entry was posted in Community on May 27, 2013 by SupSuper. This entry was posted in Community on March 22, 2013 by SupSuper. What better way to make sure there are no bugs left than a Jade Stream? 😀 As usual no specific time, but it should happen in a few hours. I’ll post a link here when it goes up and page you if you hang around IRC. This entry was posted in Community on February 21, 2013 by SupSuper. Congratulations to nilsge for being the first to successfully finish a game of OpenXcom! This entry was posted in Community on February 13, 2013 by SupSuper. This entry was posted in Community on February 2, 2013 by SupSuper. Well it seems people really like the idea of live streams. 🙂 Well I’ve set some up for this weekend, so you can expect something today and tomorrow night (around 9pm+ GMT) at the Livestream channel. No fixed times as usual, this isn’t professionals we’re working with… but I’ll be sure to update this post and IRC as I get more details. Update: Sorry guys, didn’t manage to get any streams going. This is why these things are unplanned. I’ll still try to arrange one in the future and keep you posted on any further news. This entry was posted in Community on January 31, 2013 by SupSuper. As we ramp up to release the next version of OpenXcom, nothing is more important than getting rid of all those pesky bugs and crashes that always litter our development. And what better way than to team up with X-Com veterans to play through it live and test it for us? Watch as Jade Star tries OpenXcom for the first time! Listen as SupSuper and Warboy occasionally commentate and answer audience’s questions with a variety of “yes”, “no” or even “maybe”! Suffer as the game explodes and we get more bugs to fix! This entry was posted in Community on December 24, 2012 by michal.